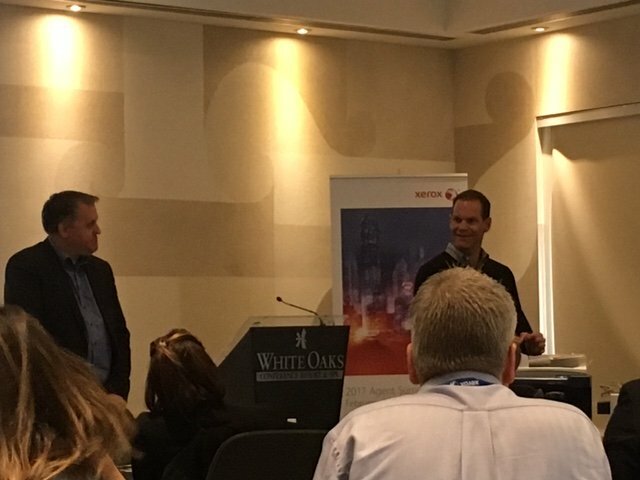 At the close of the Xerox Canadian Agent Partners Meeting, it was announced that Xerox Canada will provide the Firmware Connect App (which provides the automatic firmware updates for Xerox multifunction printers) to all Canadian Agent Partners in 2017! Joshua Justice, president of Southern Solutions was at the partners meeting presenting on the apps that Southern Solutions has created including the Firmware Connect App. With the Firmware Connect App, firmware and software updates are automatic when released by Xerox and tested & approved by Southern Solutions. Firmware is upgraded sequentially in order of approved firmware versions. The Firmware Connect App increases customer satisfaction, increases equipment reliability, increases customers’ network security and decreases service calls. Firmware has been downloaded and updated over 165,000 times and this is Xerox’s most popular 3rd party app! Southern Solutions is the first Xerox certified Personalized Application Builder Authorized Developer in the United States. With our App Solutions, we create custom apps for Xerox multifunction copiers that increase efficiency and improve workflows. Our apps are installed on nearly 20,000 Xerox ConnectKey devices across the globe.